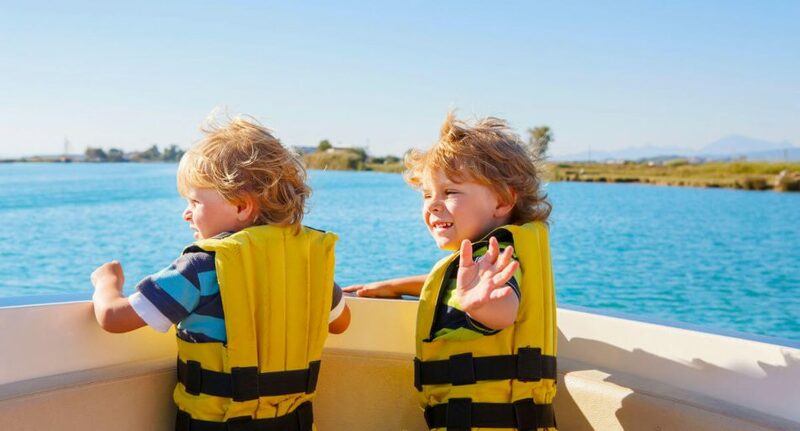 It’s one of life’s paradoxes that, during the Christmas and New Year holidays, when we’re relaxing and having fun in the bosom of our families, the risk of accidents and injuries increases. Though we’re off work and school-related duties, we get busy and stressed shopping and attending social engagements; we’re confronted with more road congestion; we tend to eat and drink to excess; and we’re more exposed to the dangers lurking in our homes. While any one of these things in isolation might not be noteworthy, in combination they can set us up for a fall – literally and figuratively. Falls from ladders, tables and other raised services are more prevalent during Christmas, when householders put up lights and decorations. These falls can result in lacerations and broken bones or, worse, serious head injuries. Avoid using furniture and tables to stand on, as they’re not designed for that – use a step stool or ladder instead, according to the height you need to reach. Before using the ladder, making sure it’s structurally sound, its rungs are clean and dry, and it’s set up on a firm and level piece of flooring or ground. Place the bottom of the ladder 0.3 metres away from the wall for every 1.2 metres that it rises up the wall. Wear footwear with good grip and move slowly and carefully up and down the ladder. Don’t drink and decorate as alcohol impairs your motor skills and increases your risk of falling. Christmas presents are designed to bring children excitement and joy, but be careful the presents they receive don’t end in tears and heartache – for them or their loved ones. For the wrong present in the wrong hands can spell disaster. Visit Product Safety Australia’s Recalls web page to check the products you buy your family and friends for Christmas have not been recalled. Choose age-appropriate presents for children, especially items with small, removable parts or strings that could strangle, suffocate or choke a young child. Read the packaging to be sure. Be careful the small, coin-sized lithium batteries that may come with older children’s toys don’t end up in the hands – and mouths – of younger children; if swallowed, they can burn through a child’s oesophagus. If you’re unsure whether an object is a choking hazard, download the Australian Competition and Consumer Commission’s DIY choke check safety tool. Christmas and New Year sees a spike in work lunches, family get-togethers and late-night parties. By drinking in moderation you’ll avoid a whole host of complications that overindulgence can cause, including family arguments, falls and car accidents. If you’re a teetotaller, you won’t need to worry. But if you do indulge, the Australian Government’s Department of Health recommends you drink no more than four standard drinks on a single occasion (pour your own drinks to keep track). Eat before, and while, you are drinking. Consider drinking low-alcohol beverages, alternating alcoholic with non-alcoholic drinks or switching to water (which will keep you hydrated). Resist the temptation to drink every day of the holidays: Even if you drink responsibly, it sends a message to impressionable children that alcohol is a necessary part of everyday life. Many fires are triggered by some failure or malfunction in an appliance or a piece of equipment, including Christmas lights that are faulty or incorrectly installed. Before buying Christmas lights, visit the federal government’s product safety recalls website. At the store, check the lights have an Australian Approval number such as Q12345, V01294 or N12345. Add a safety switch to your switchboard: If the switch detects a power imbalance associated with an electric shock, it will stop the flow of current in less than a heartbeat, potentially saving a life. If you plan on your house being visible from outer space, consider getting additional outdoor power points installed rather than overloading existing circuits. Make sure artificial Christmas trees and the decorations you adorn it with are flame-resistant. Turn off your Christmas lights when you’re not home, to avoid them shorting out and causing a fire. Australia’s road toll invariably spikes during the Christmas and New Year holidays, when traffic volumes increase dramatically and people travel longer distances on unfamiliar roads, sometimes while fatigued and/or speeding. Ensure you’re well rested before going on a long road trip, give yourself plenty of time to reach your destination, and take frequent breaks during your journey (about 15 minutes every two hours). Avoid driving at odd hours of the morning or night, when you would normally be asleep – you may have less traffic to contend with, but you’re at higher risk of having dangerous micro-sleeps at the wheel. Stick to the speed limit. Not only will this reduce your risk of having an accident, depending on the state you live in you’ll also avoid getting slugged double the usual demerit points for holiday-season traffic infringements. It goes without saying that you should not drink and drive. If you’re going to a party, catch a cab or carpool with friends and decide who’s going to be the designated driver. Before going on long road trips, check your fluids, lights and tyres or even consider getting your car serviced; and check any trailer and caravan attachments are secure. The Christmas and New Year holidays are not only a high-season for the tourism industry but also for burglars. That’s because many homes are unoccupied during the holidays, making them prime targets. for added peace of mind, consider insuring your contents against theft.